There are so many reasons why we search for hours if not days on the Internet trying to find something special, something unique, memorable, something that says I truly love you !!! Whether it's your first or golden wedding anniversary, Honeymoon or precious time away in need of a well earned holiday from all the stresses of family life a special occasion or a surprise or just quality romantic time together, then it is time to stop searching and consider it found..... we promise you one thing that our Luxury Cottages will capture your hearts and you will leave feeling relaxed and recharged. 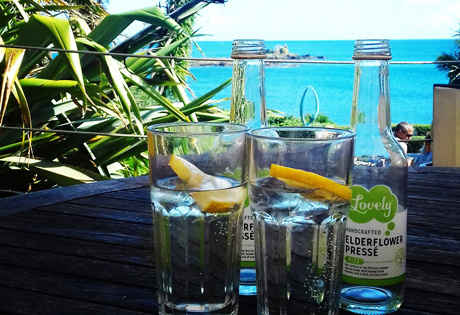 Tucked away down a winding lane, nestled above the cliffs of Lamorna Cove 'our' secret part of Cornwall you will find three cottages, each unique , each having their own Private Hot Tubs. The cottages have a reputation for making our guests feel pampered from the moment you arrive. 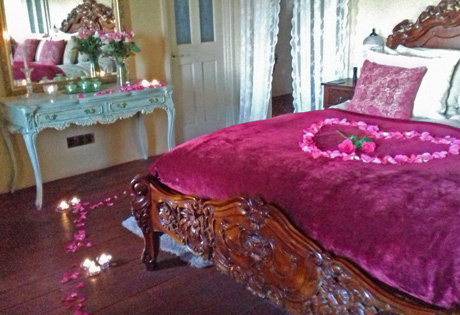 Be greeted with bubbly on ice, luxury chocolates, rose petals scattered across the bed. 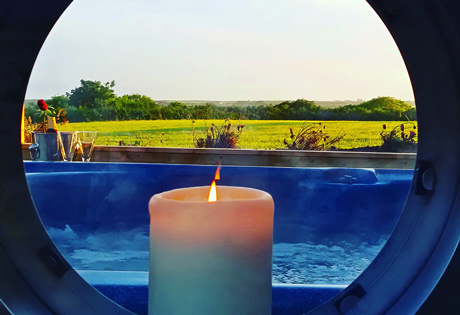 soft candle light and in the cooler months a real fire and most importantly your own private hot tub set to 100oF ! 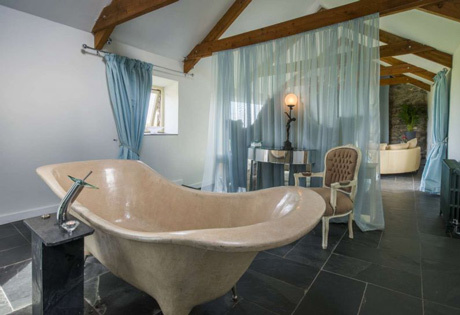 The Dovecote a beautiful romantic cottage, perfect for quality time together to relax and unwind in this heart warming space to rekindle true love, beautiful sea views . 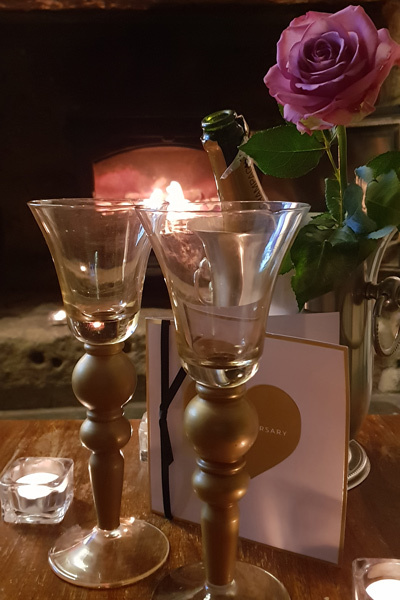 Honey Hedge Cottage has an elegant feel with the ambiance of days gone by, sultry rich colour scheme and decadent luxury a perfect setting to relax and spend precious time together, wonderful sea views, private garden and all weather hot tub where better to unwind with a glass of bubbly. 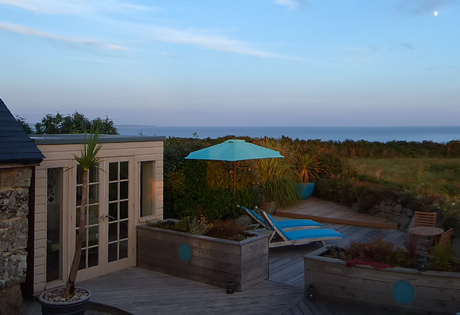 Lamorna View set in private landscaped gardens with breathtaking panoramic sea views, stylish with a cool and airy interior melt your cares away, relax and enjoy the beautiful surroundings. Want to explore? Then the coastal path is right on your doorstep waiting to lead you along the stunning coastal paths, country pubs, harbour villages, white sandy beaches, galleries The Minack Theatre and lots of great activities to enjoy...take further look at all three cottages the hardest decision is which cottage will you choose for your romantic break? Check our current special offers/promotions.